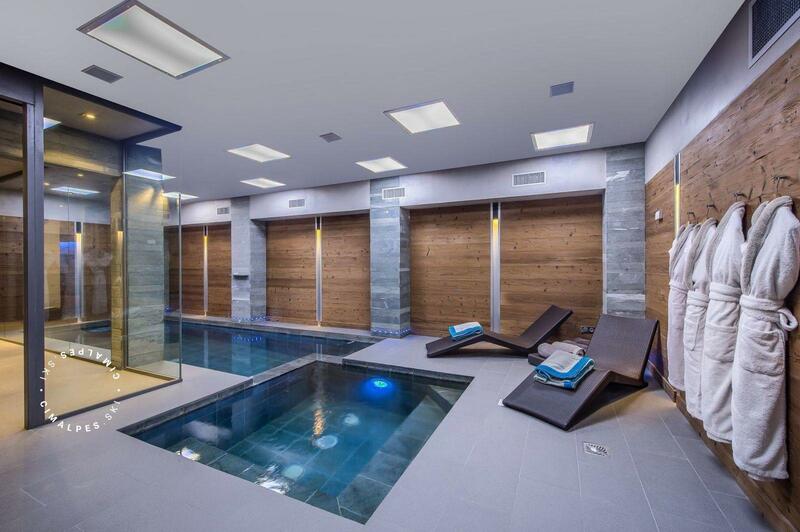 The chalet Eglantier, on the Pralong slope in the prestigious district of Pralong, was built in the greatest respect for alpine tradition. This ski in/ski out chalet has a privileged location, nestled in the heart of unspoilt nature and just minutes from the center of Courchevel 1850. 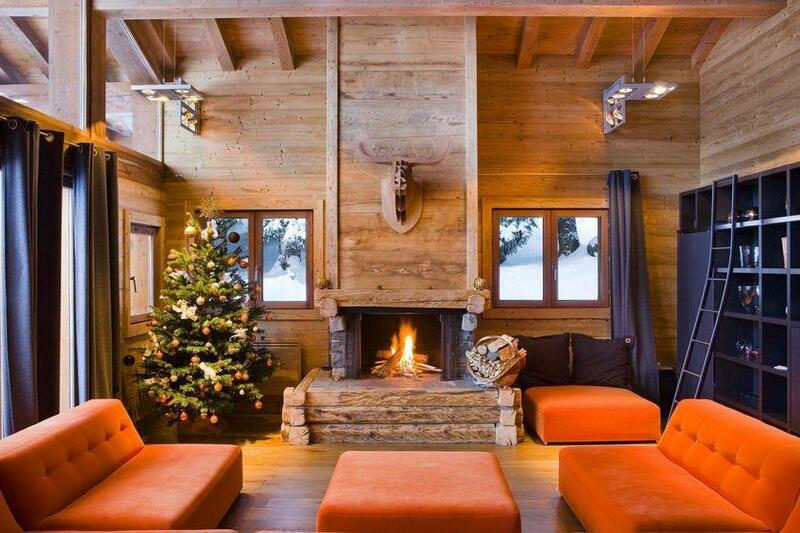 The architecture of this chalet is typical Savoyard: old wood covers the whole chalet, wide beams support the structure and large glazed openings frame the surrounding landscape by letting the light come in naturally. 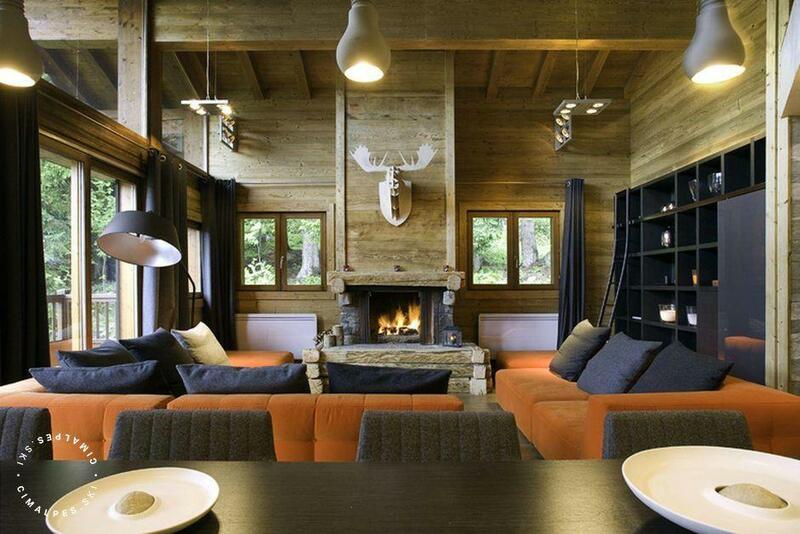 In the huge living room, a large orange velvet fabric sofa positions itself in front of the wood and stone fireplace above which hangs a huge wooden deer head that reminds you the real spirit of this mountain chalet. 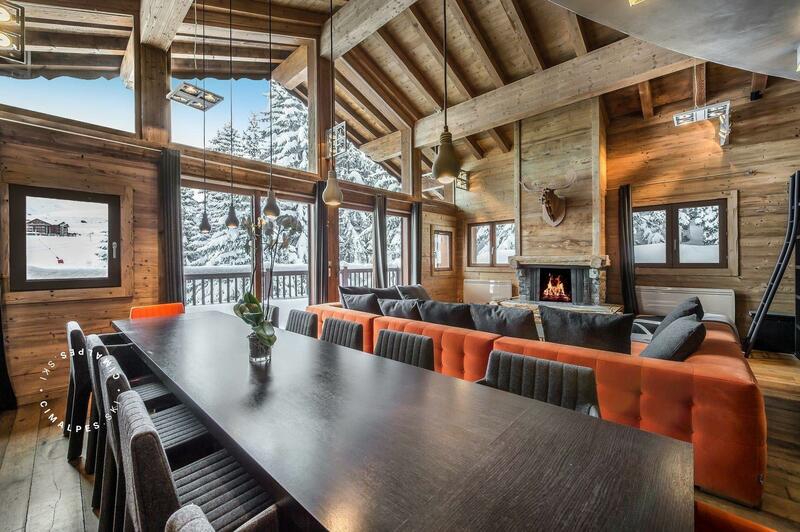 A large dark rectangular wooden table with great natural fabric seats made from Bonneval cloth, gather the occupants of the chalet around the traditional Savoyard dishes that make the region’s reputation. Enjoy spacious living areas and numerous upscale amenities offered by the ski in/ski out chalet Eglantier. 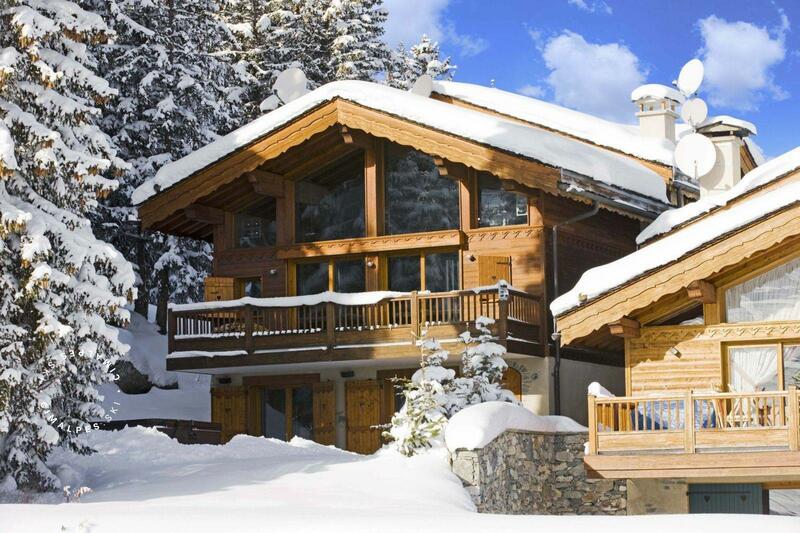 This authentic luxury chalet hosts ten people in its five bedrooms. 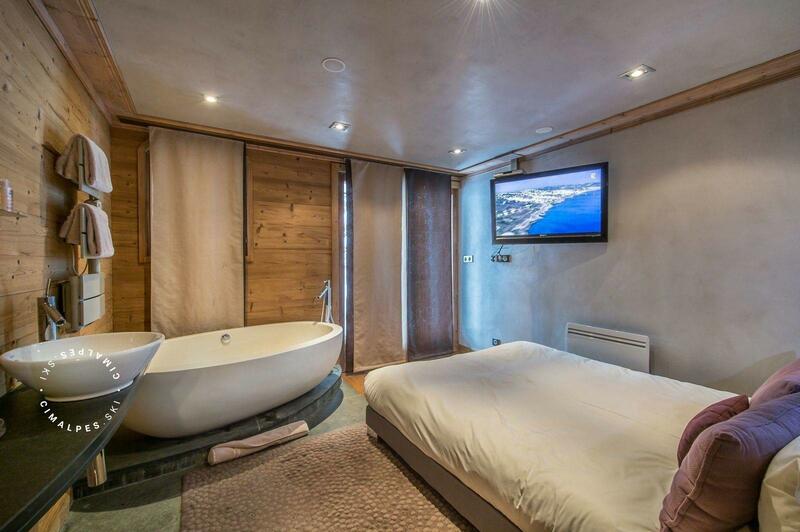 There is a sublime master bedroom that will delight its occupants with its modern bioethanol fireplace, its bathroom en-suite and office. 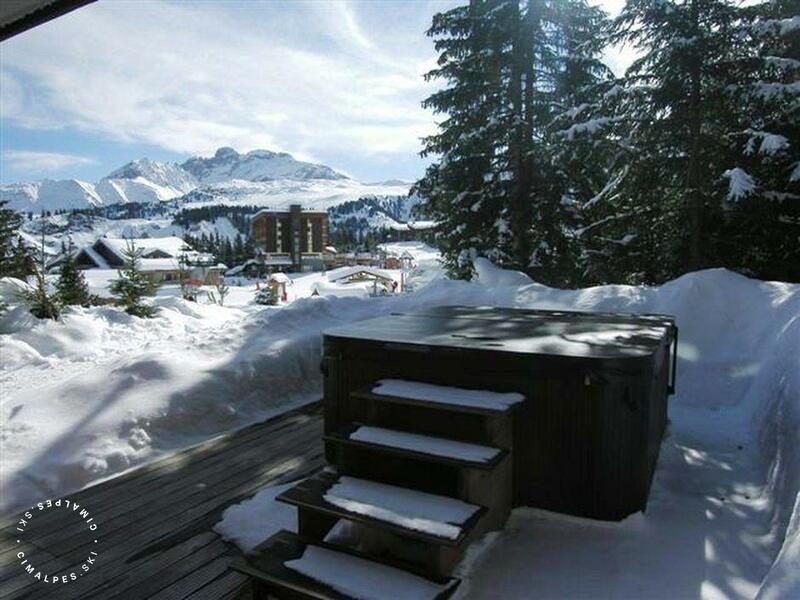 On the first level of this chalet, a big outdoor Jacuzzi occupies the terrace suitable for a bathroom amid the snowy firs of the station. 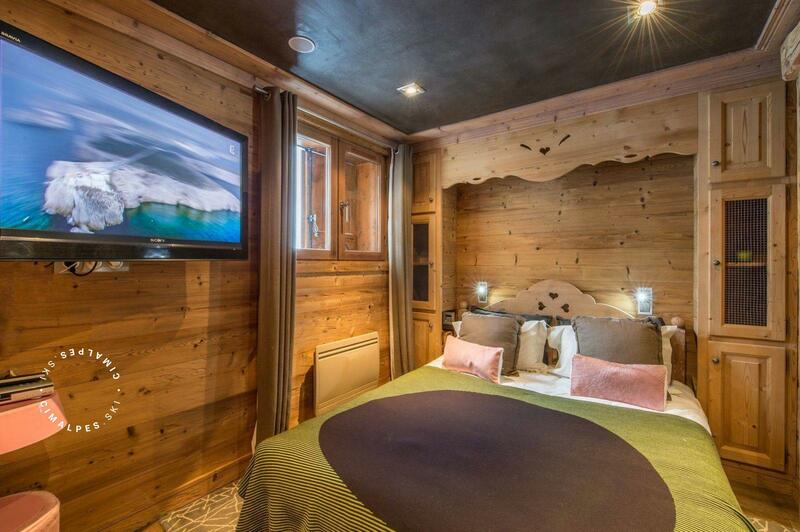 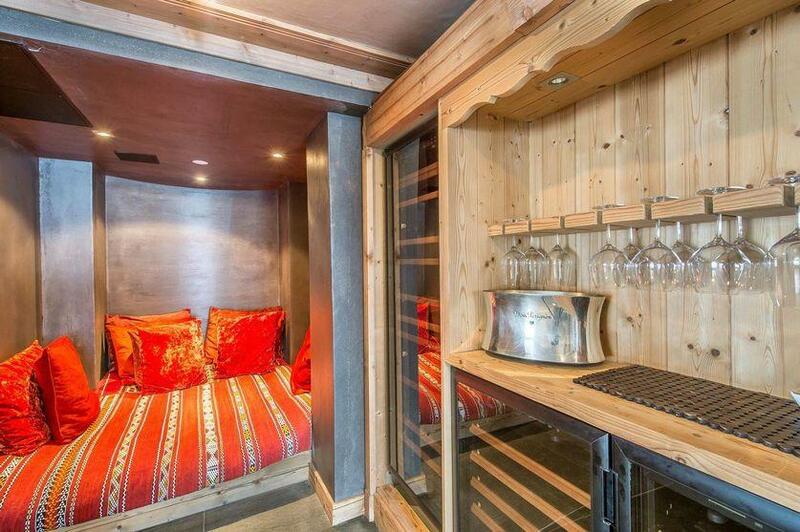 This luxury chalet is also equipped with a private ski room, a large swimming pool, a spa and a cinema room. 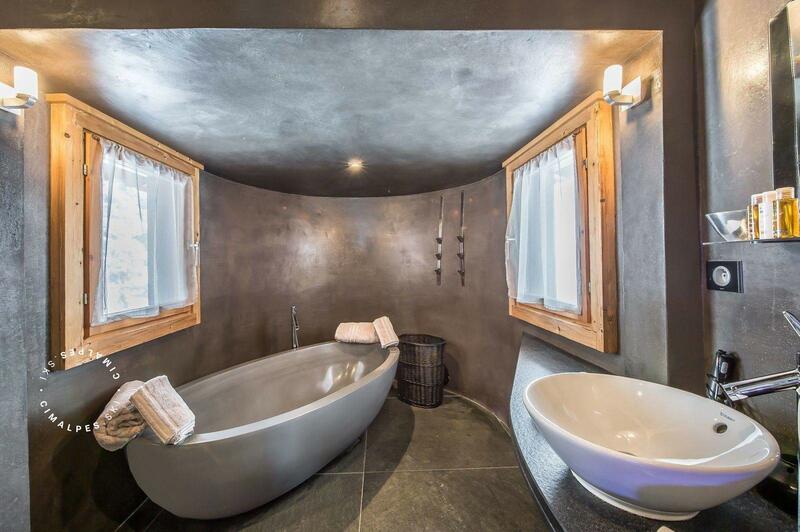 The level of service offered by the ski in/ ski out chalet 'Eglantier and Cimalpes is worthy of the greatest resorts: personalized welcome, housekeeper, daily cleaning or any other service you may require in order to make you spend a dream vacation. The chalet Eglantier attract a demanding family clientele looking for a ski in ski out chalet and near the center of Courchevel 1850. 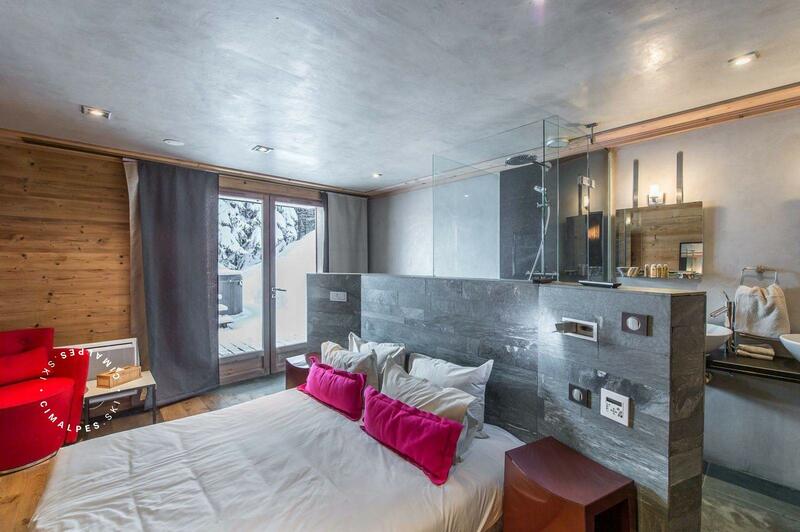 Located in the peaceful Nogentil area in the highest part of Courchevel. 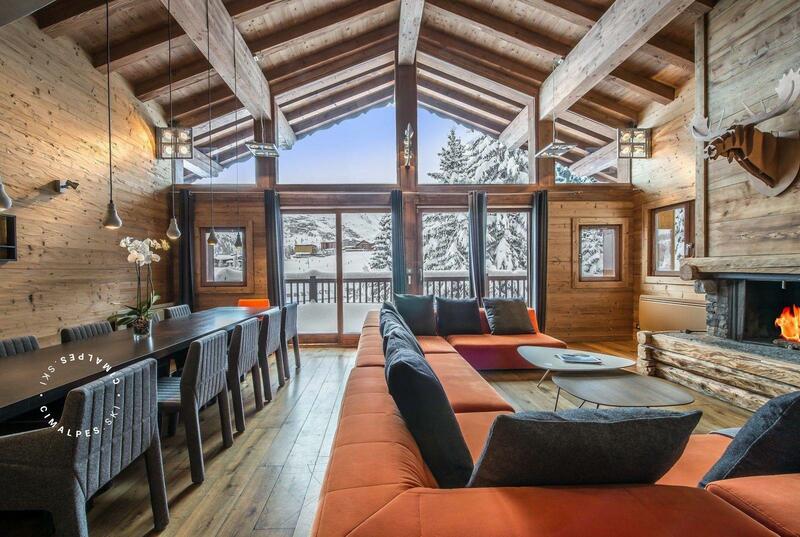 An ideal location on the slopes, the chalet offers a direct access to the ski lifts of Pralong where the ESF ski school meetings take place. 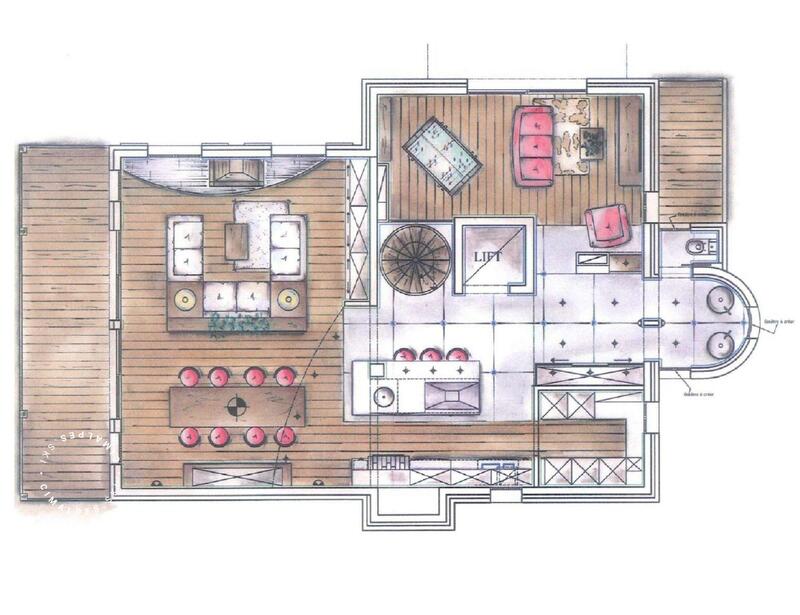 Living area : The large living room is iluminated by large bay windows with an access to the terrace with a splendid view over the mountains. 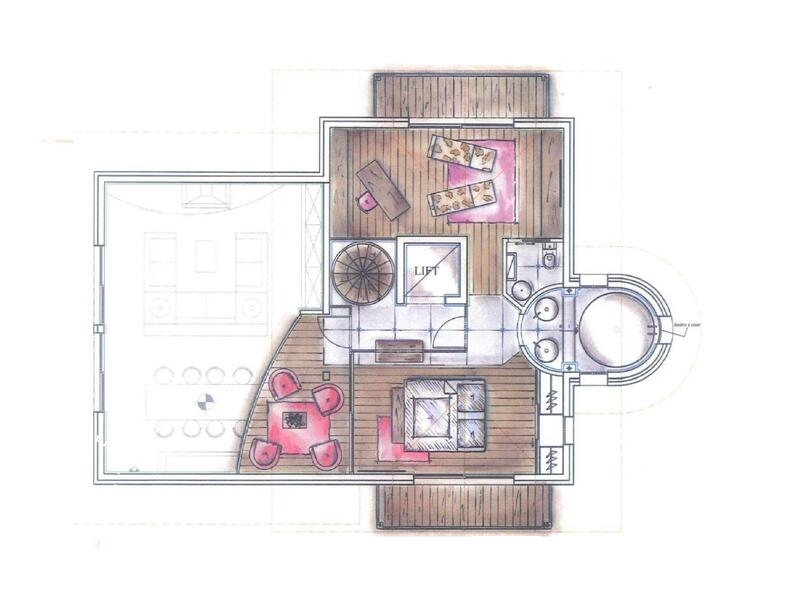 It offers a nice american kitchen, dining area and living room with fireplace for convivial moments with family or friends. 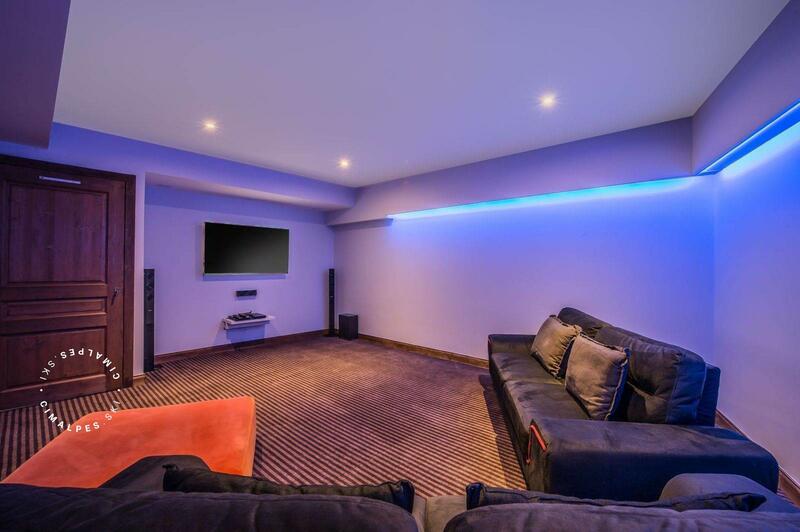 Discover a TV room and a relaxation corner. 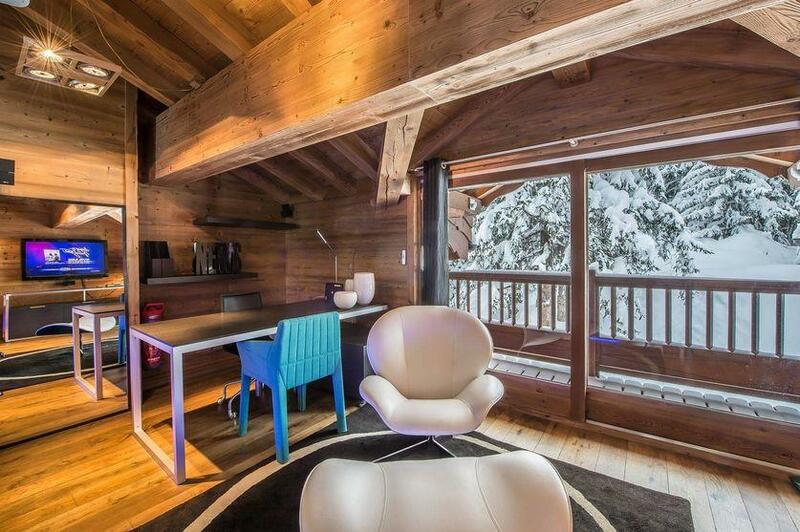 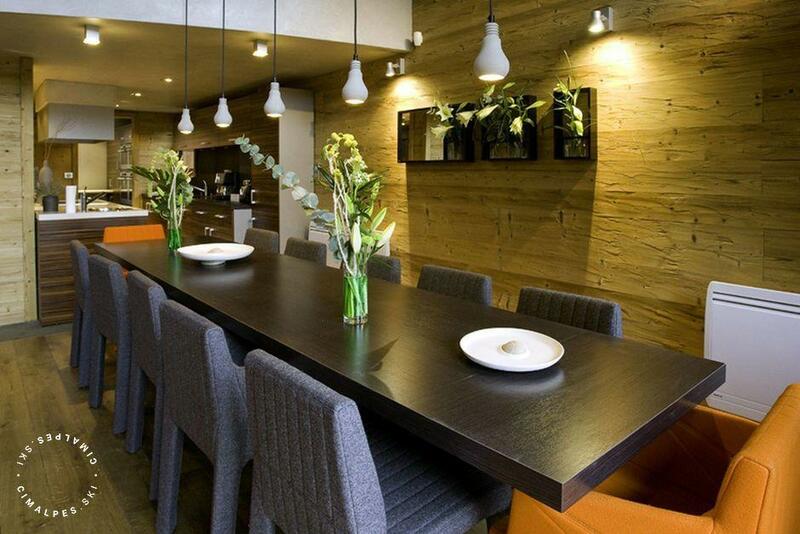 The Eglantier is a prestigious chalet with a contemporary style. 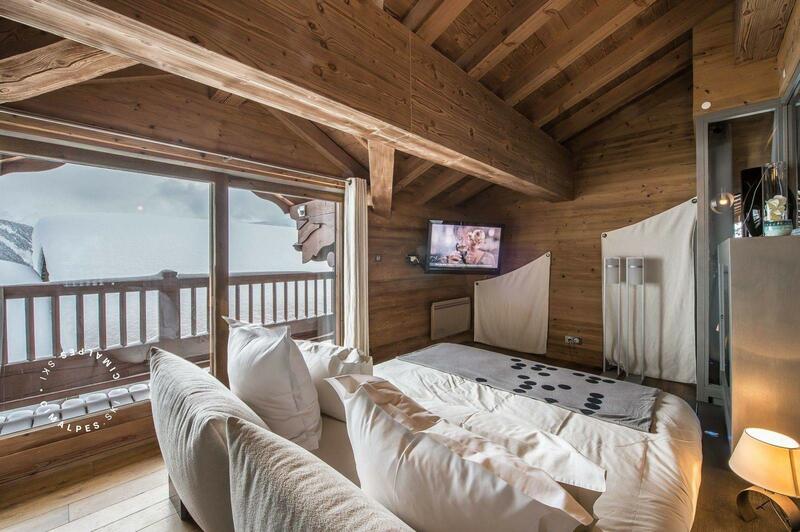 Located in the Nogentil area, the chalet has a direct access to the Pralong slope. 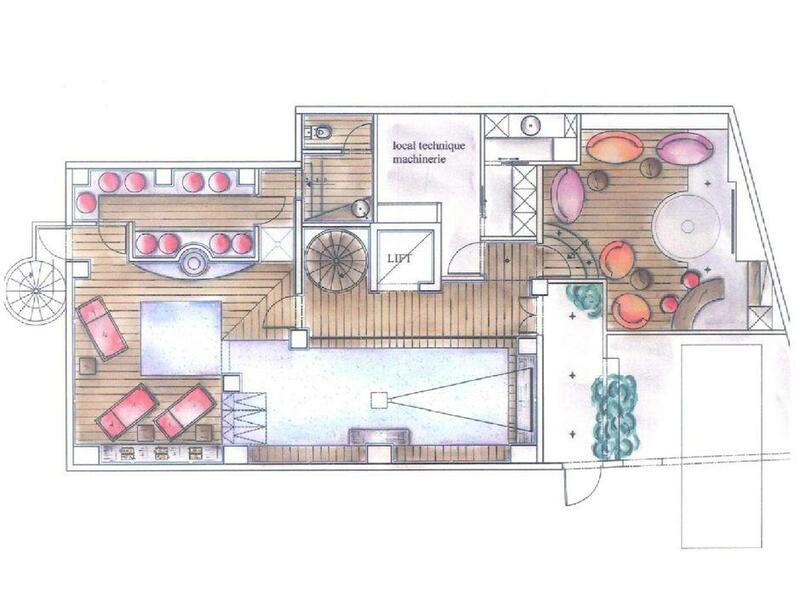 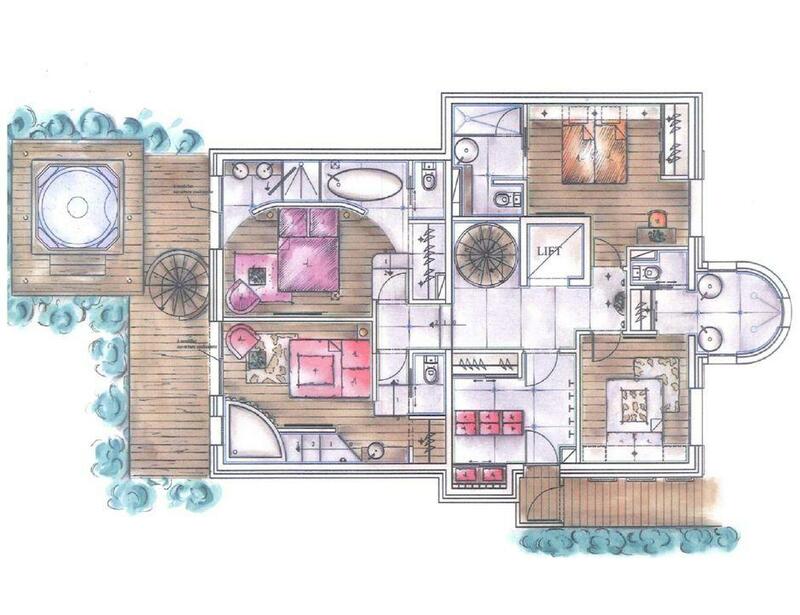 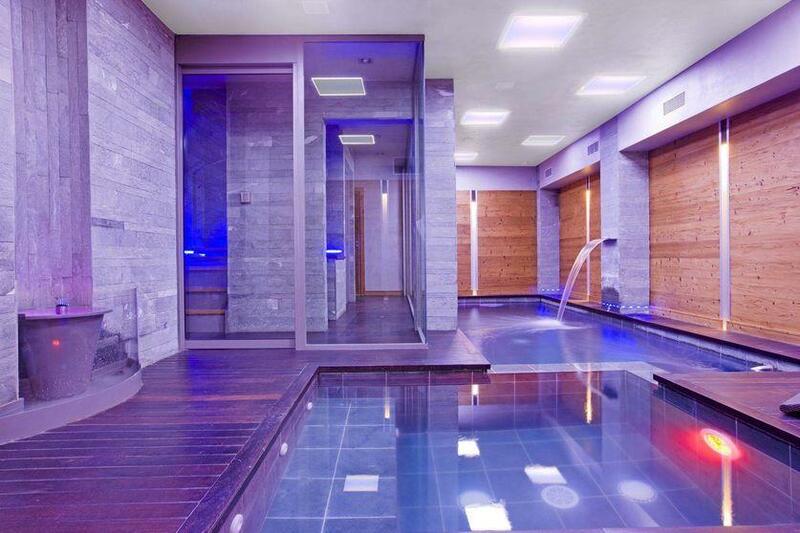 It offers high end amenities including a swimming pool, a jacuzzi and a steam room. 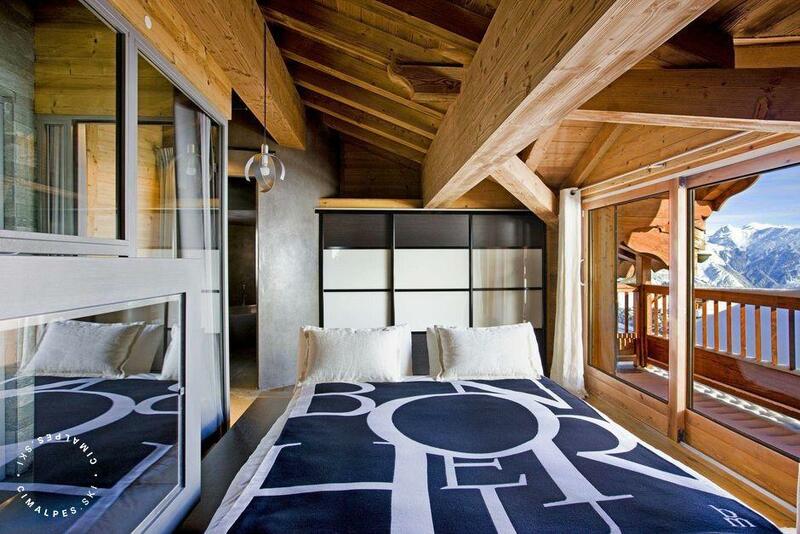 For the Ski addict !